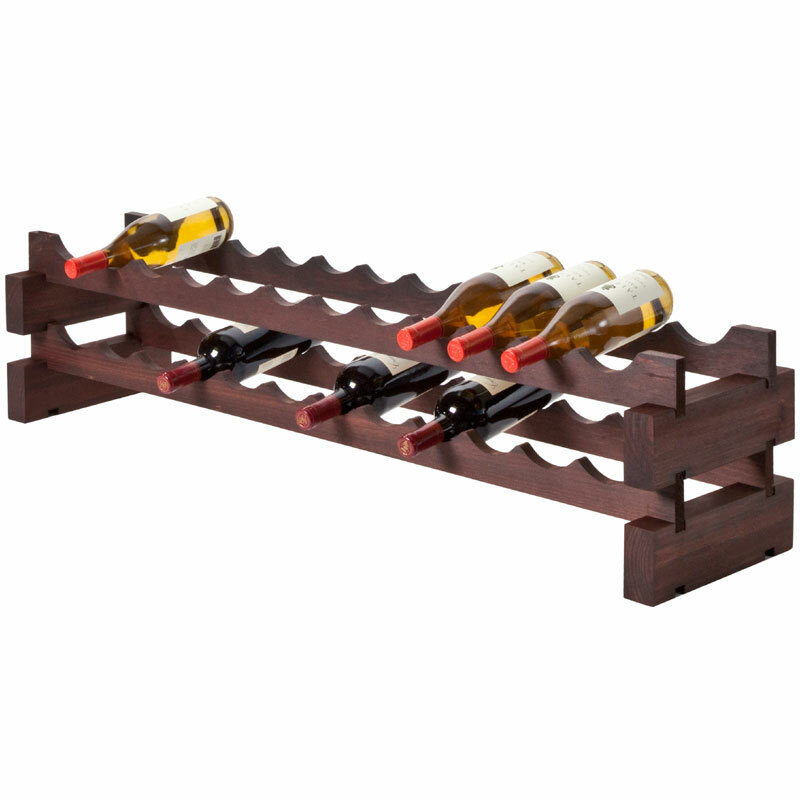 All of our self-assembly bottle racks are quick, easy and fast to assemble, you'll be storing your wine collection in no time! Some of our wooden self-assembly racks won't even require any tools, they just simply slot together. 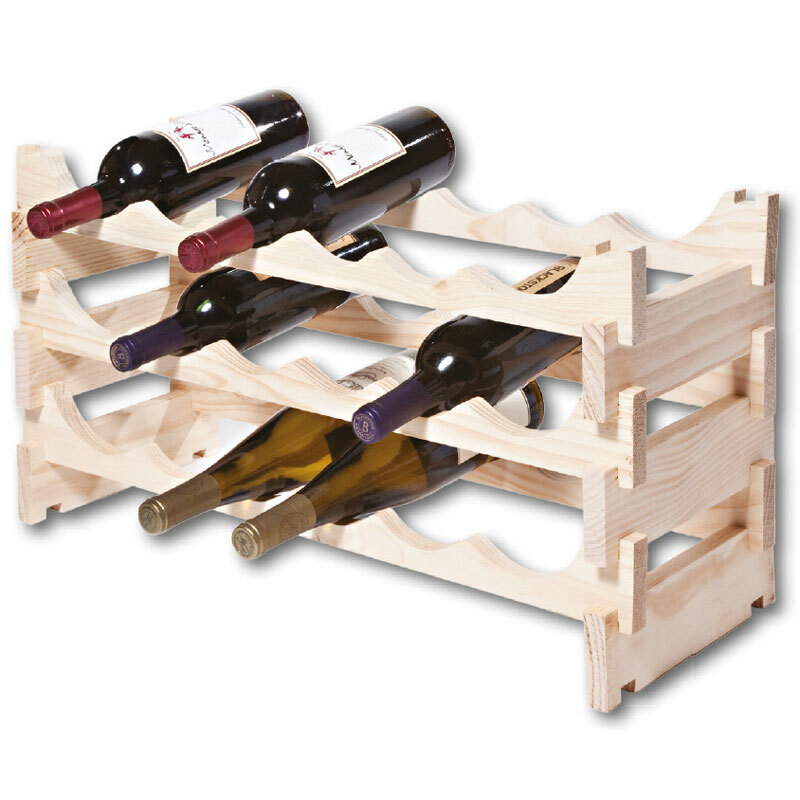 Self-assembly racks generally hold a smaller collection of wine and are delivered flat packed. 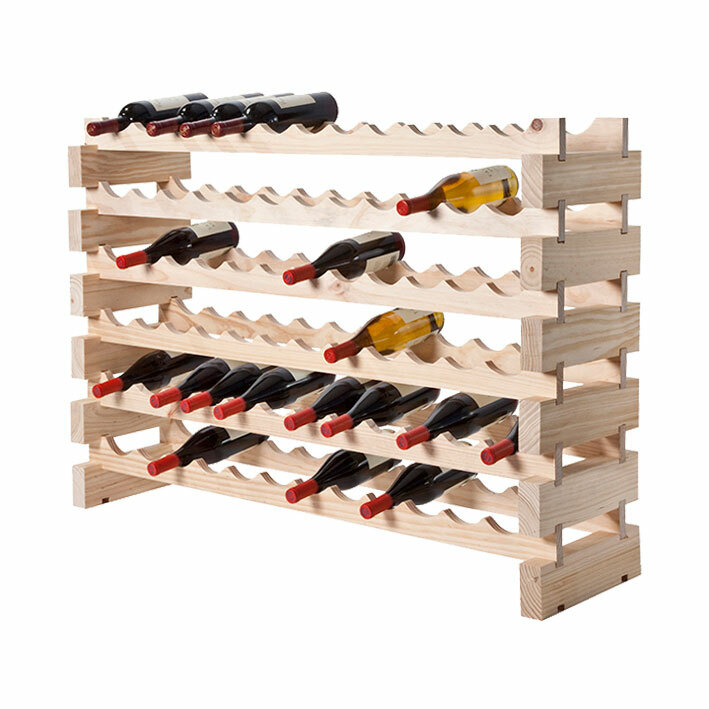 Flat pack or self-assembly racking is a great solution for storing wine. They are quick and easy-to-assemble and offer an alternative to fully assembled racks. 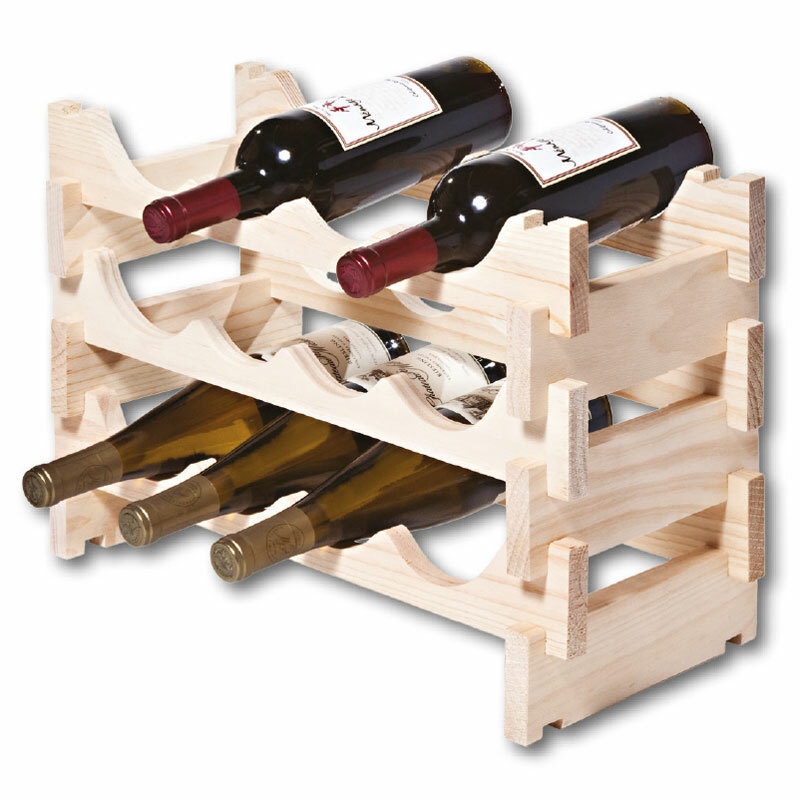 These racking designs are also compact, ideal if you are moving house or for giving as a gift or present. Detailed instructions are usually included with all self-assembly racks. So you will usually only need the following: the instructions that came with your self-assembly rack, tools (if stated in instructions), time (usually only between ten to twenty minutes depending on the design – don’t quote us if it takes longer), fittings and fixtures are usually already included with the parts. Check all the fittings and fixtures are included in your box before assembling the rack. 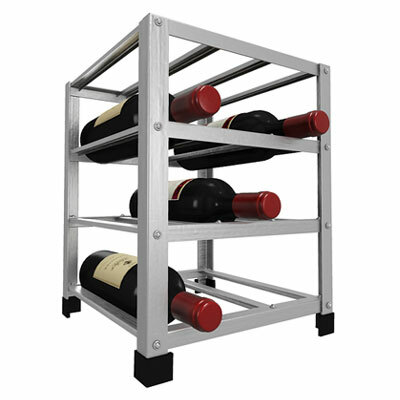 So what makes self-assembly wine racking a good choice? 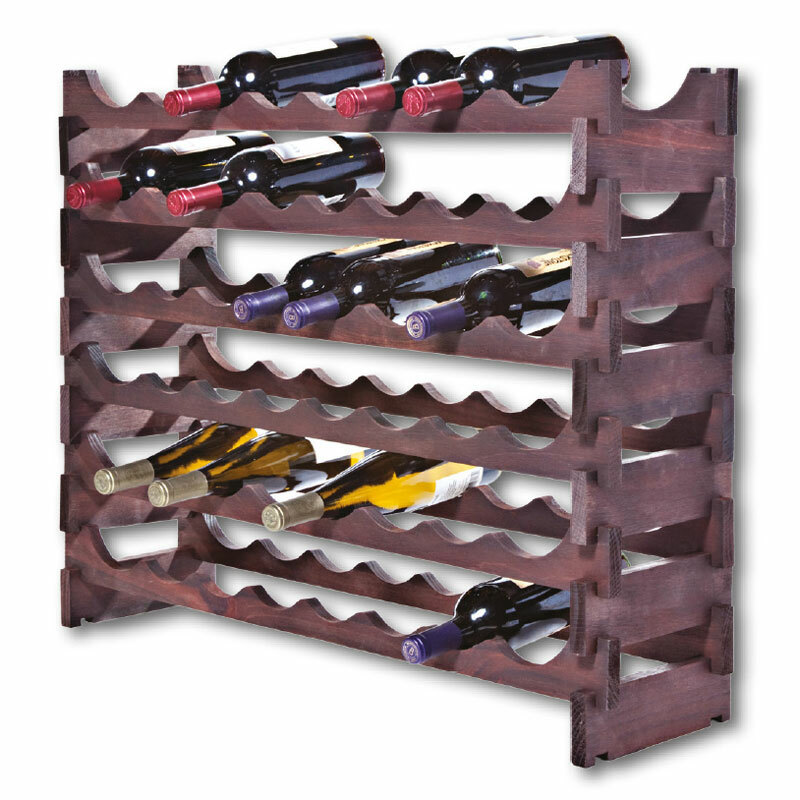 They are fast and easy to assemble – you will be amazed at how quickly you will be storing your wine collection. They are also usually delivered flat pack, so can fit anywhere! This is also ideal if you are considering giving as a present. 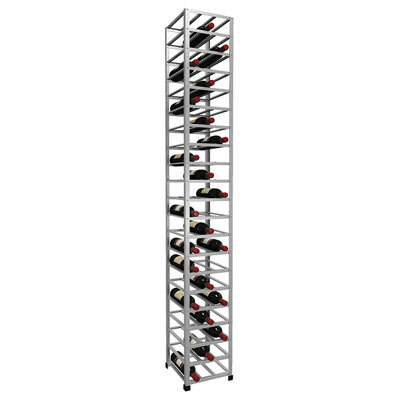 We offer a wide range of shapes and sizes and most self-assembly racks will hold standard bottles of wine (0.75L) as well as half bottles and magnums. 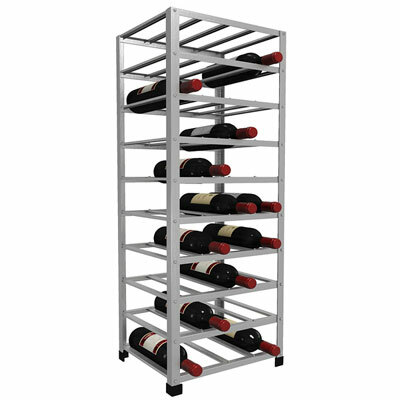 Metal self-assembly wine racks are easy to clean. You can usually just use a damp cloth to remove any spillages or dirt. This makes them ideal for any household, bar, restaurant or pub. 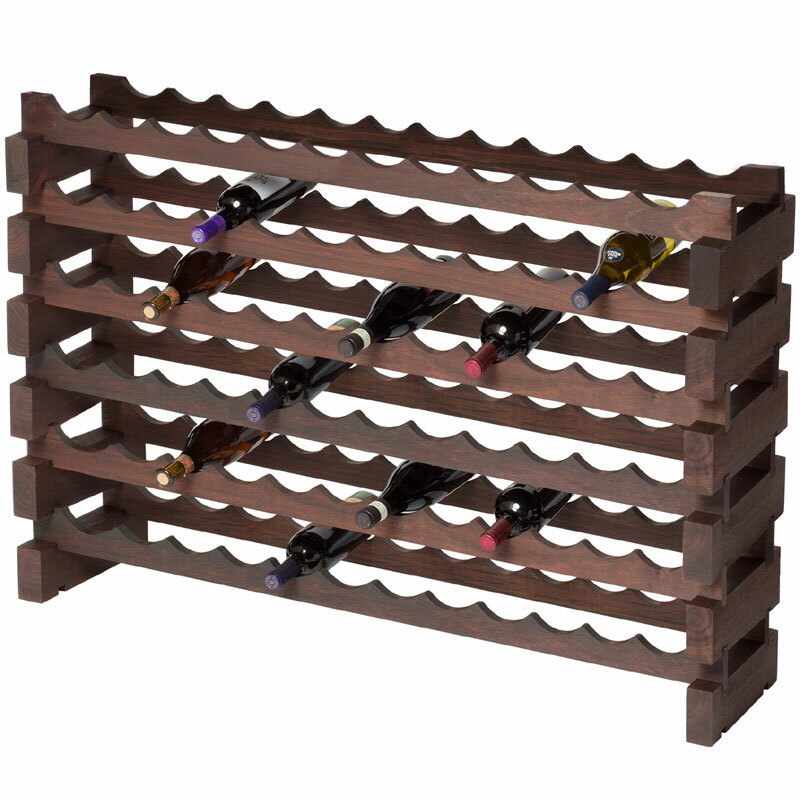 Your new rack can show off your wine bottle labels and hold different quantities of bottles. Self-assembly racks organise and store your wine bottles safely and securely. 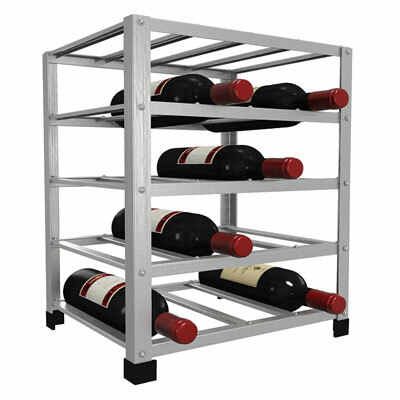 We offer a good selection of self-assembly racks from Big Metal Wine Rack. These are delivered flat pack and are extremely quick and easy to assemble. 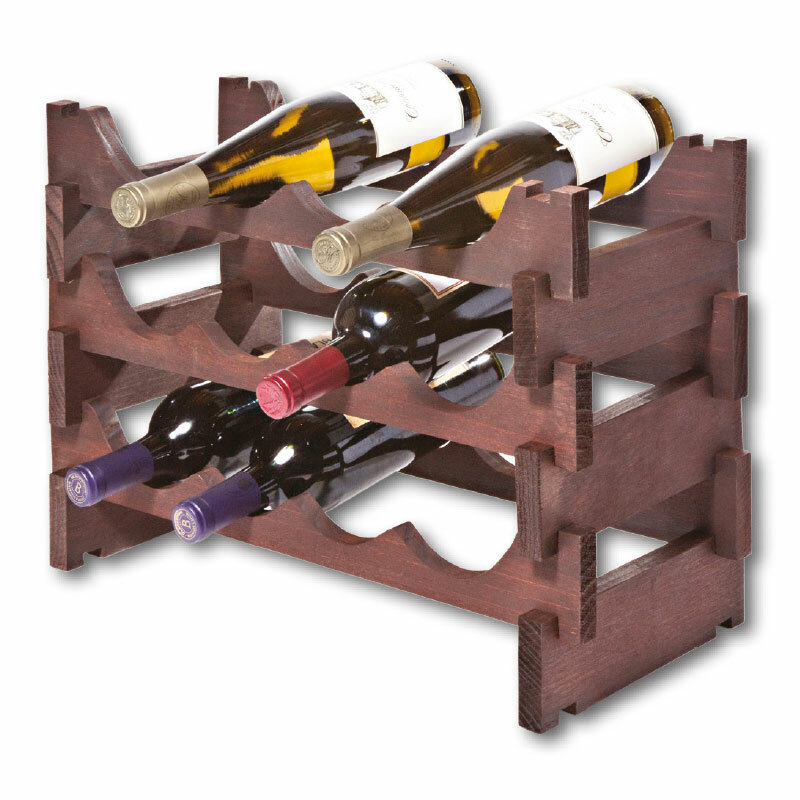 We offer various size bottle racks holding from 12 to 72 bottles. 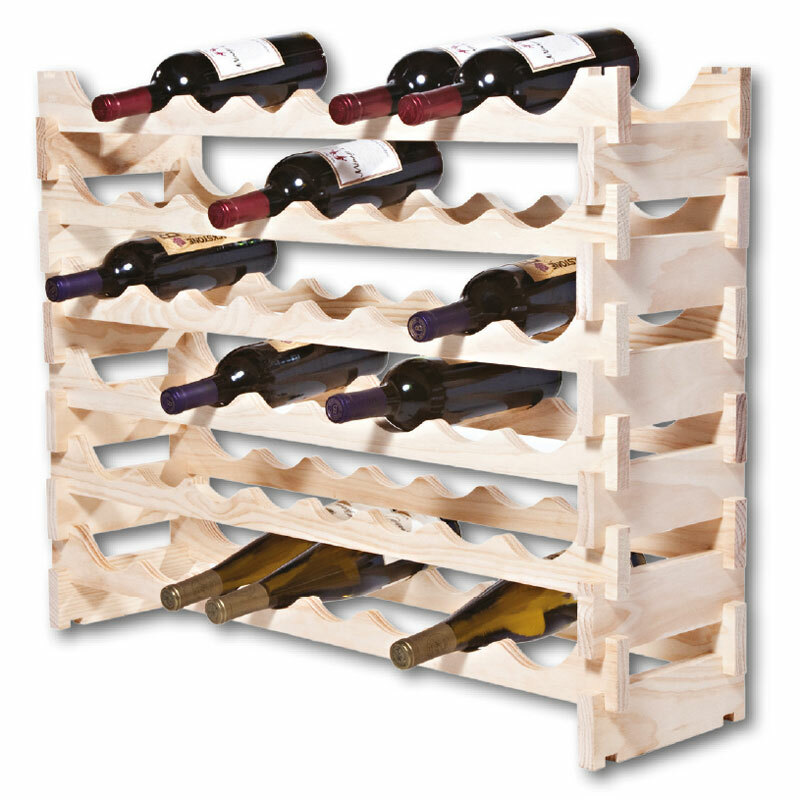 The rack size is dependent on your wine collection and whether you plan to expand. 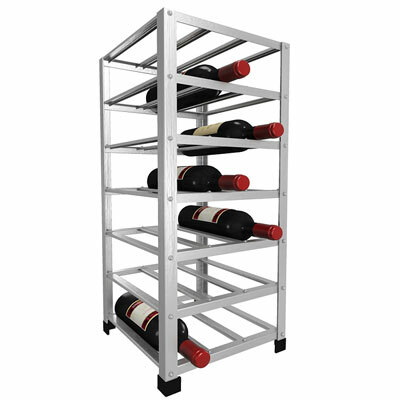 These self-assembly racks are ideal home or trade use and are praised highly by wine enthusiasts and experts. 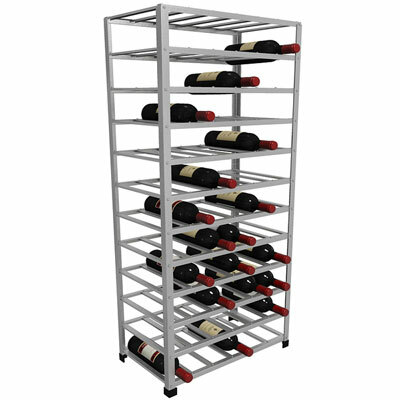 The metal rack design is easily to clean whilst being contemporary, modern and stylish. They feature plastic feet to protect your flooring from any scratches or damage. 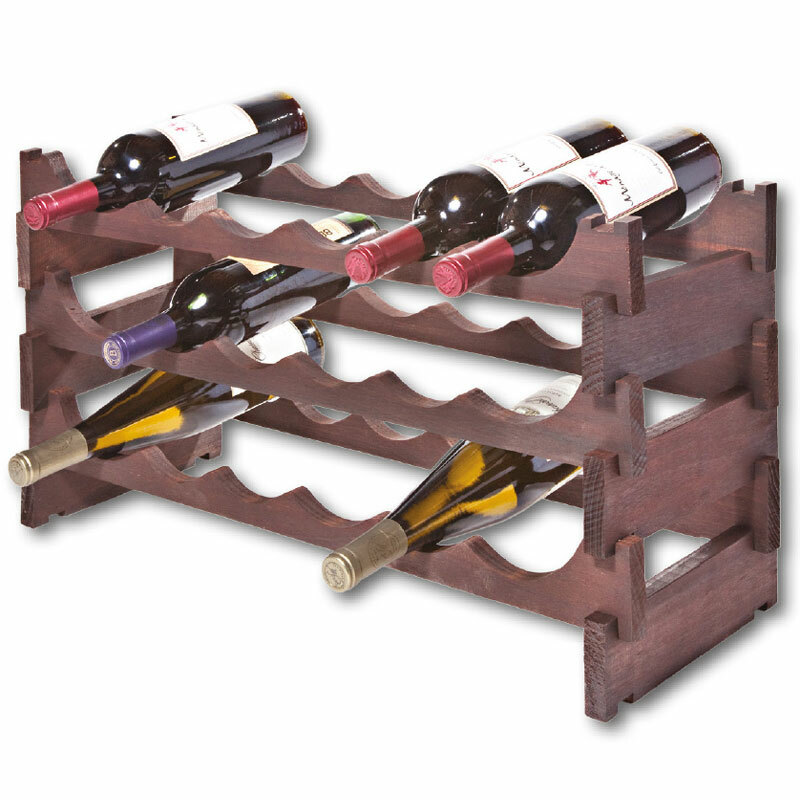 If you want a reliable storage solution for your wine collection this is it! 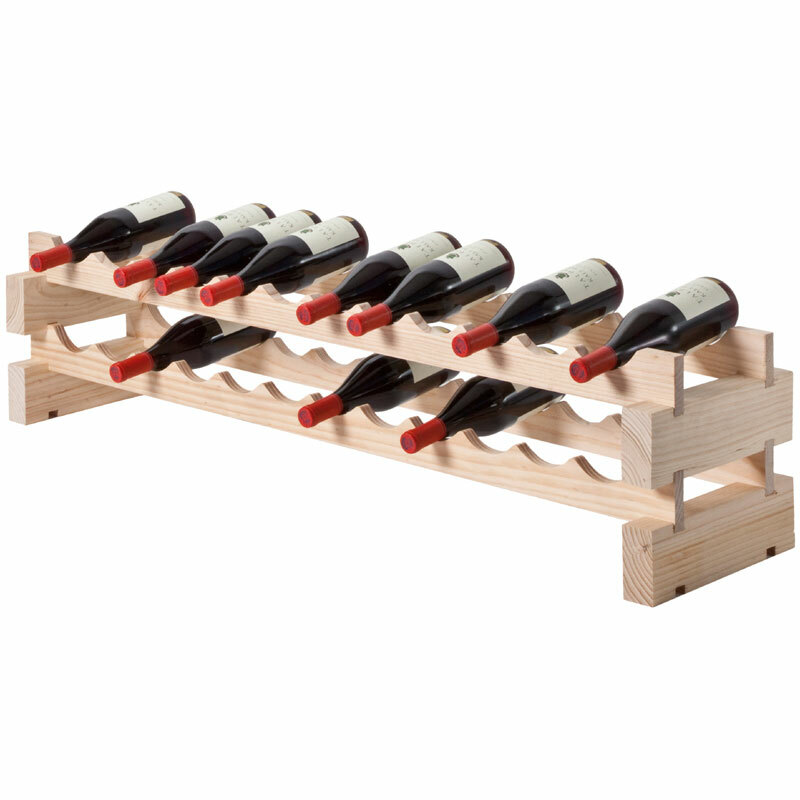 Alternatively you may opt for a self assembly wooden rack for your wine collection. 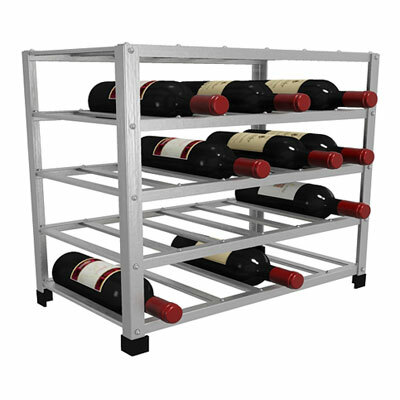 See Modularack for further racking options including: 22 bottle, 20 bottle, 18 bottle, 16 bottle, 14 bottle, 12 bottle 10 bottle, 9 bottle and 8 bottle wine racks. 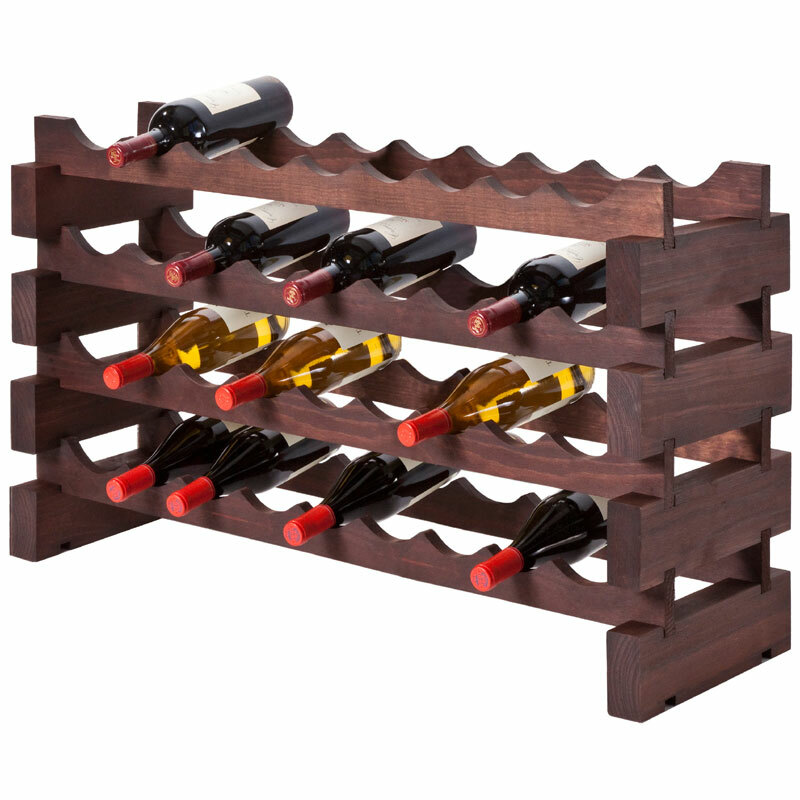 Vinrack wooden wine racks are assembled in seconds and perfect for any living space, whether that is the kitchen or dining room. 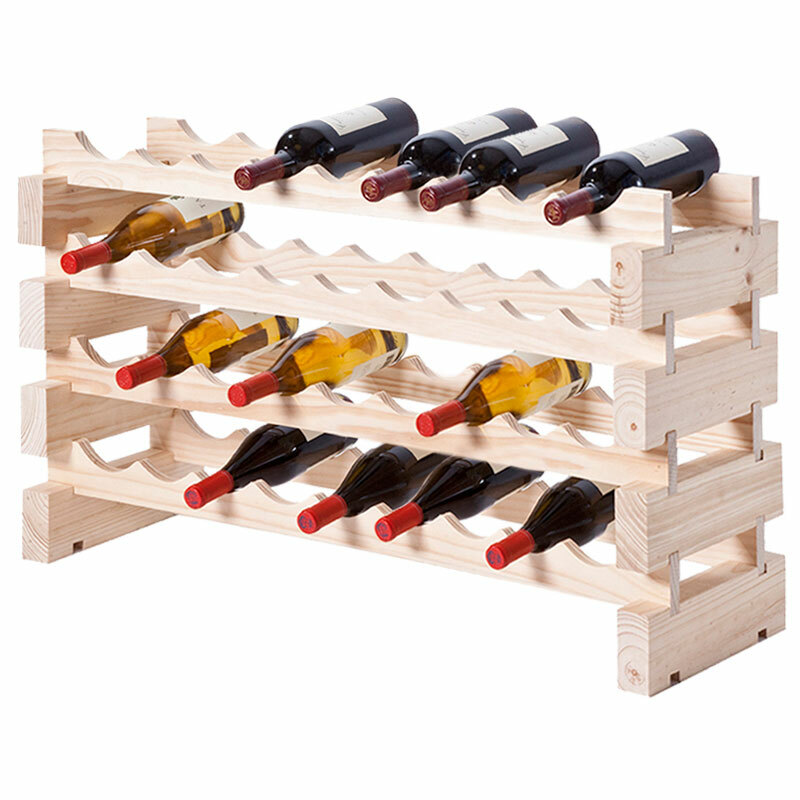 Alternatively, if you don't want to assemble your own rack, why not use our bespoke wine rack calculator and get a custom one made just for you.